This democast discusses the Amazon Kindle app for iOS. Erin also introduces the Kindle Cloud Reader and discusses various device management options. 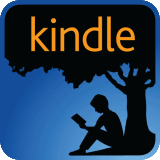 To keep up-to-date concerning Kindle developments, you can follow The Amazon Kindle Team on Twitter (@AmazonKindle). You should also check out many places on the web to find other book bargains (click here). If you are an avid reader, please check out our other podcast, Book Hoarders Anonymous and follow @BookHoarders on Twitter. This entry was posted on Tuesday, June 11th, 2013 at 6:00 pm and is filed under Democast. You can follow any responses to this entry through the RSS 2.0 feed. Both comments and pings are currently closed.